Can the U.S. contain the global terrorist threat? 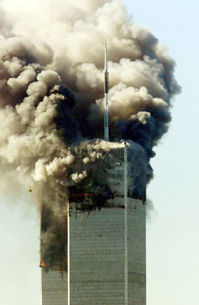 The United States has attacked Afghanistan in response to the horrific Sept. 11 terrorist attacks on the World Trade Center and the Pentagon that killed nearly 6,000 people. Supported by a broad international coalition, President Bush said he intended to eliminate terrorist leader Osama bin Laden and his global Al Qaeda network, as well as the Taliban government that harbors the Saudi exile. While some analysts say states that support terrorists must be targeted, others caution that toppling governments risks enraging many in the Islamic world and creating legions of new terrorists. Meanwhile, to protect Americans at home, Bush set up a new Office of Homeland Security and asked Congress for sweeping new law enforcement powers. But civil libertarians warn that new police powers might endanger Americans' long-cherished constitutional freedoms.